I'll be speaking at The Enchanted Market. A great two day event, for all things Pagan, occult and magical. If you want to come to my talk, I'll be speaking on the Saturday. The ancient myths and legends of the old world, are an important part of our modern Pagan spirituality. But the growth and shaping of myths is not restricted to the past. It is an ongoing thing. In this talk, we will explore the strange and enigmatic world of modern myths, legends and folklore, bringing you face to face with weird and monstrous entities that you may not have heard of and, afterwards, will surely hope that you never meet! 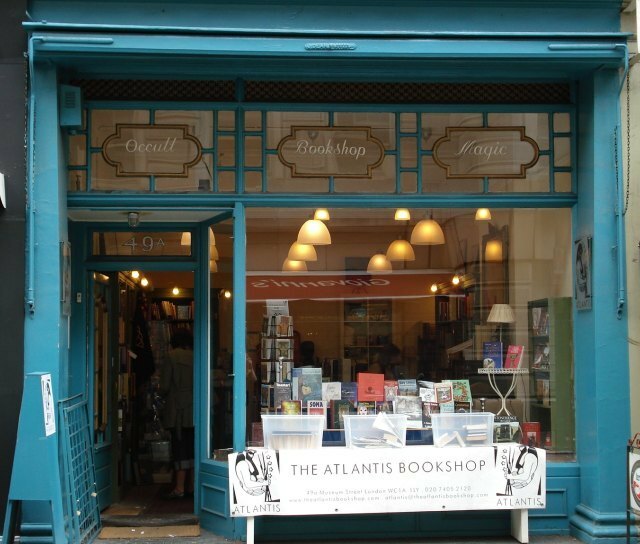 I'll be speaking at The Atlantis Bookshop, London's oldest independent occult bookshop. I'll be presenting my "modern monsters" talk, but with a Halloween twist! More 2017 dates to be confirmed. Check back for regular updates.